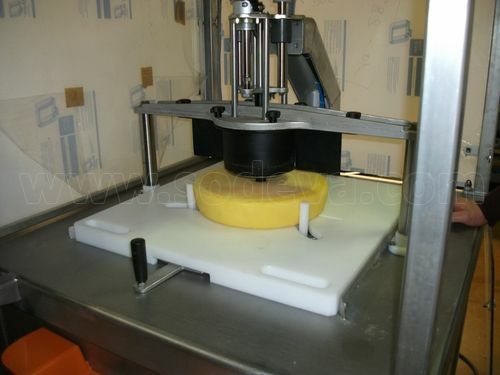 Cheeses, wheels or loaves to be cut at fixed weight on the same machine, cubes and cheese sticks new patent ! 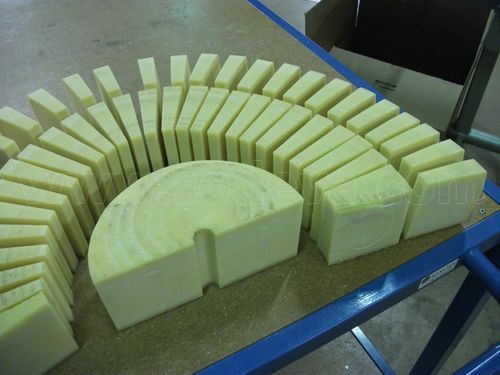 Our Vibracut device able to do cubes or sticks in perfect shapes from big blocks. 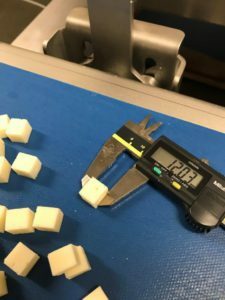 All cubes sizes from 10 mm. 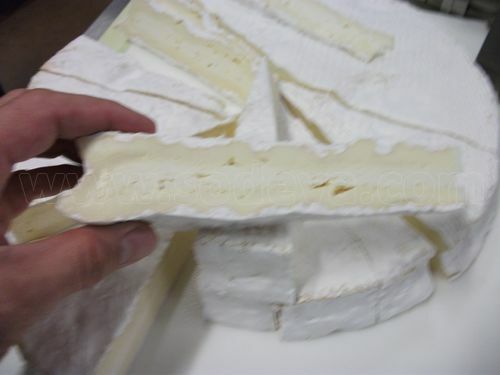 Triangles possible. 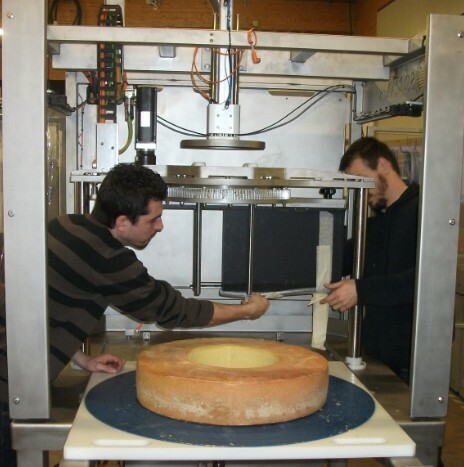 New machine for big wheels until 900 mm diameter, cutting rings and portions at right weight with the same machine, from 40 kg cheeses to 200 / 400 grams portions with the same machine; 3 blades : for logs, rings (center, medium and external; one stroke) and cut at the radius (videos upon request). 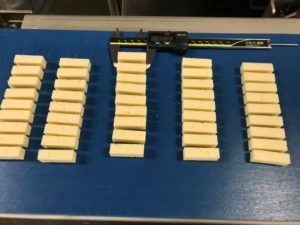 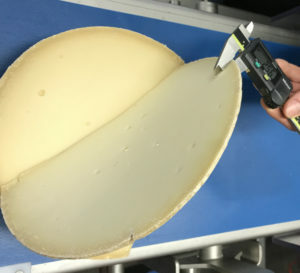 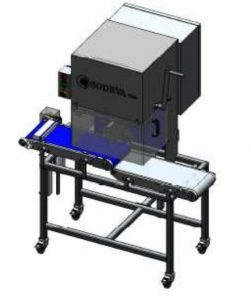 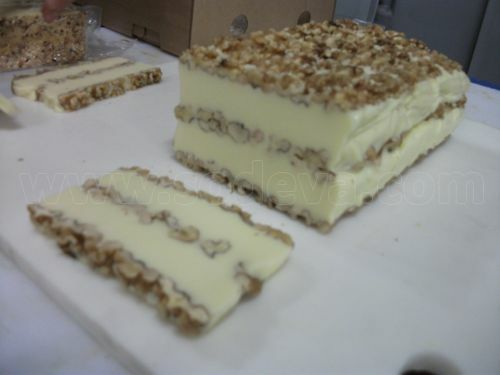 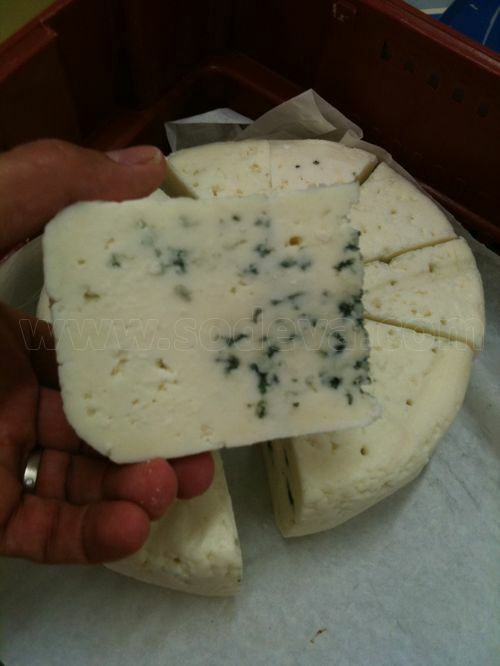 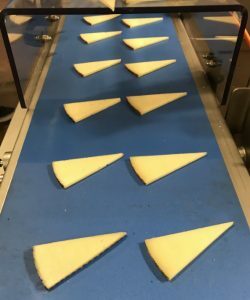 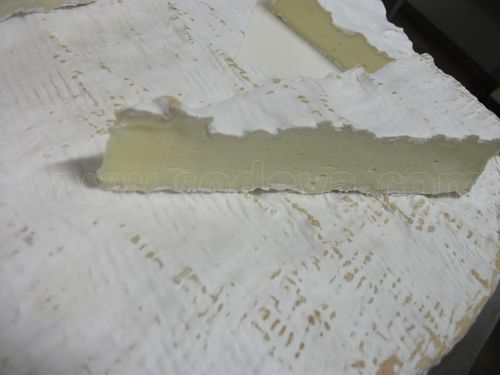 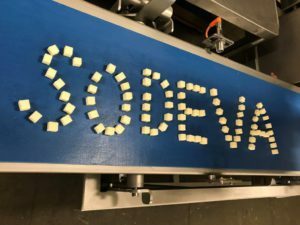 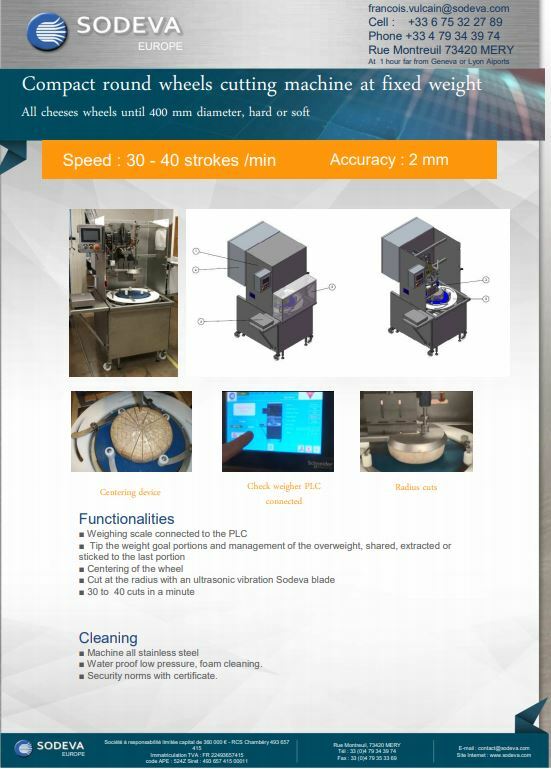 Also machine with special high amplitude vibration to cut all cheeses as blue cheeses or sticky ones like Bries; small budget high performance, ask for videos ! 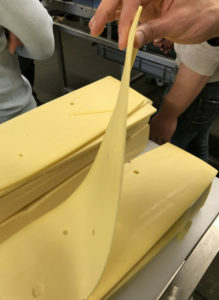 All the overweight managed, no waste of product, at choice taken in the receipe : shared upon all other portions, isolate to remix or for grated cheese, or overweight put on the last slice to be sold at variable weight. 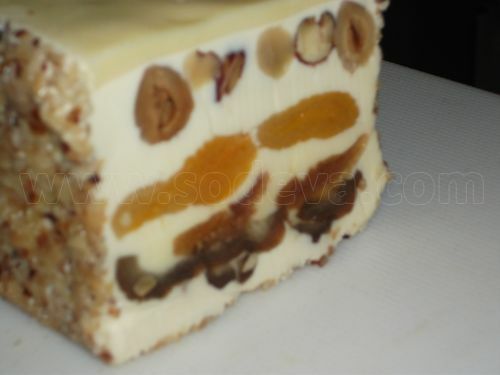 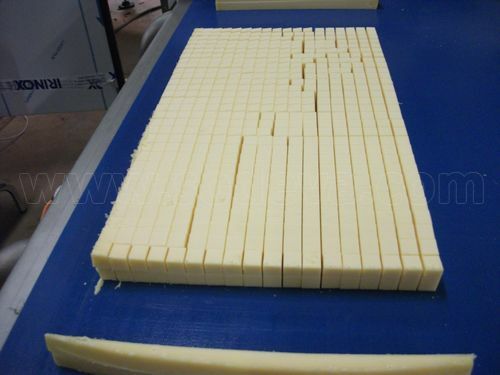 Modular machines, all the line with separate devices connected able to precut 20 Kg blocs to small portions exit in line to 20 grams, 100 grams … Station one, precut, station two 2 kg or 1 kg bars, option scan (possible to install when your markets will grow), and end fine cut marketable portions in line. 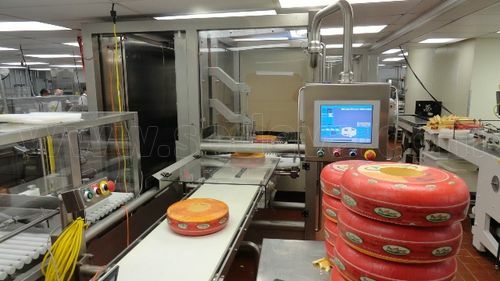 Last machine done for Fonterra and Saputo company (with all options). 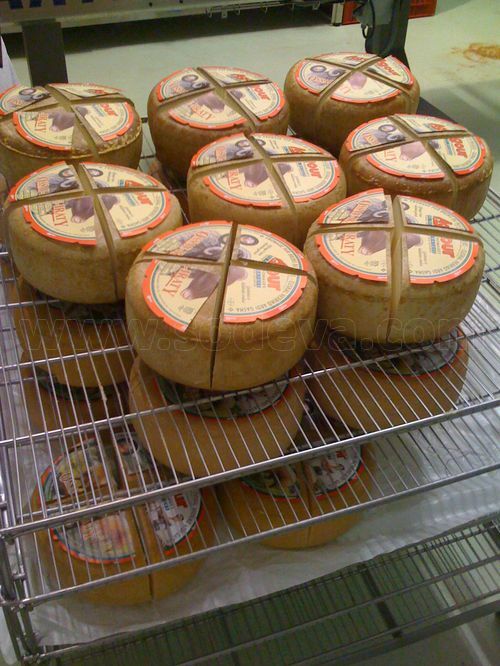 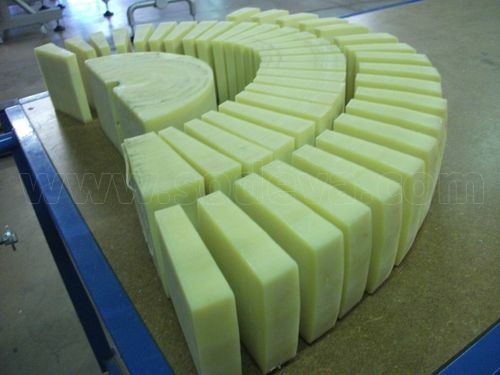 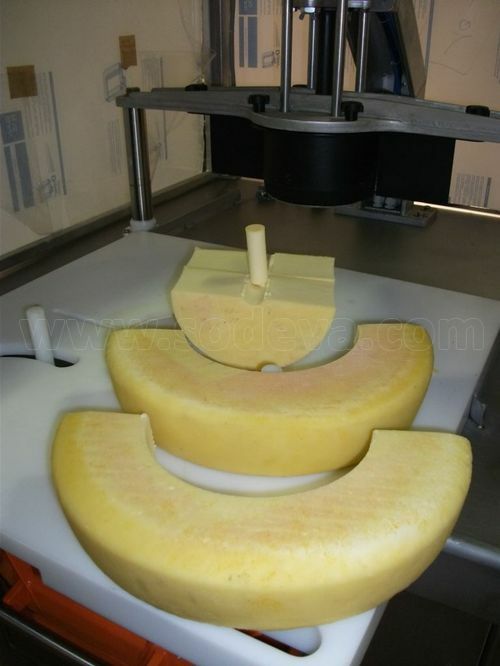 Various pre formed cutting heads, one for each cutting profile are used on a fixed table holding the cheese, the cutting head is pressed into the cheese.